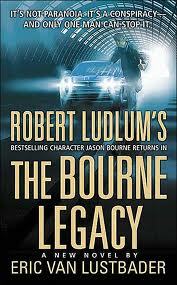 The 4th installment of the “Bourne” franchise will be called “The Bourne Legacy” and will be directed by Tony Gilroy. Gilroy’s previous work has included: Michael Clayton which he directed and he has written the past Bourne films as well. Matt Damon has stated that he will NOT return to the series without previous director Greengrass, but I think Gilroy has enough clout to lure the actor back. If not, then the Bourne films will suffer in my opinion. Any casting suggestion for a new Jason Bourne? This entry was posted on Monday, October 4th, 2010 at 4:14 pm	and is filed under Film. You can follow any responses to this entry through the RSS 2.0 feed. You can leave a response, or trackback from your own site. Only Damon can play bourne. There is no substitute for him, he captures bourne so well. Matt does an exquisite job in this role. I hope he comes back for it even though there will be a different director. If not, maybe Christian Bale, Jake Gyllenhaal, or Tahmoh Penikett.